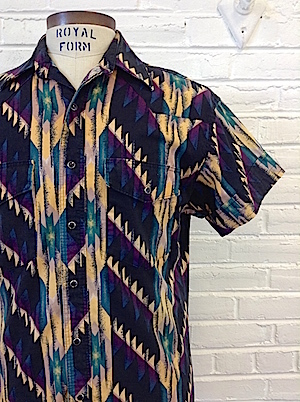 Mens Amazing Vintage Aztec Western Shirt! 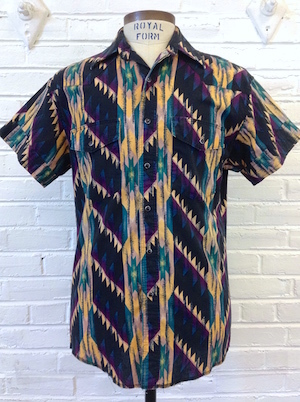 Earthy shades of Beige, Dark Green, Dark Purple, Gray and Black in a funky geometric southwestern pattern! Six Black snaps down the front, with snap closure patch pockets on each chest. Short sleeves with cuffed ends and a tapered hem. Tagged by Wrangler. 100% Cotton.